Recently, we started working with “The Little Bottle Company”, a small business that sells custom arrangements of, you guessed it, little bottles. 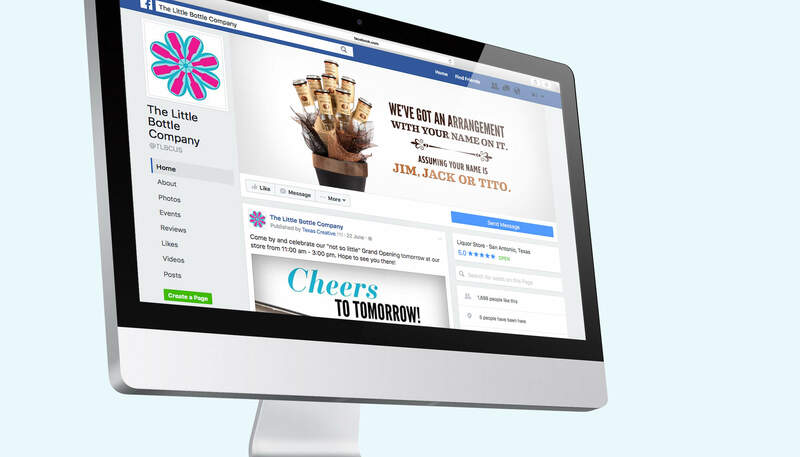 They wanted to boost their online presence and jump-start brand awareness with a Facebook campaign. Their arrangements are actually quite impressive and fun to look at. Bonus: they’re also made of alcohol. Along with some savvy social media management and organic postings, our campaign helped bring in over 1,000 new Facebook Page Likes in a couple of weeks — up from less than 50! Hopefully, we also brought a few chuckles to the denizens of Facebook and converted some into new customers for The Little Bottle Company.